I’ve yet to see a film this year with such an elegantly simple yet effective story. 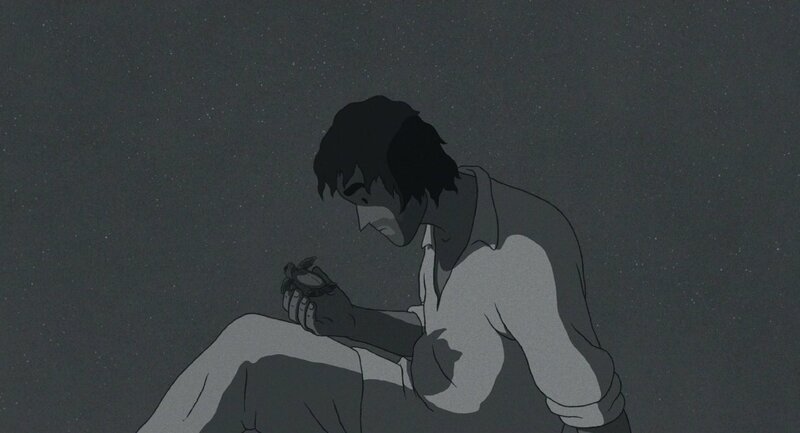 A man washes up on an island, he tries to survive and has a mystical interaction with a red turtle. 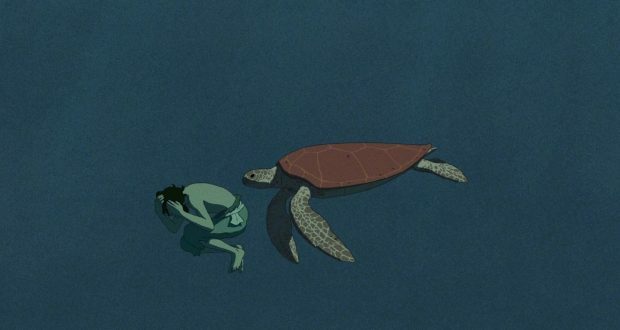 I don’t want to ruin the main conceit of The Red Turtle, though this film hardly hinges on narrative twists. It’s a charming and immaculately drawn little adventure. This is an international film in every sense of the term. Dutch director Michaël Dudok de Wit is being produced by Toshio Suzuki in a co-production between France-based distributor Wild Bunch and the Japanese animation masters at Studio Ghibli. 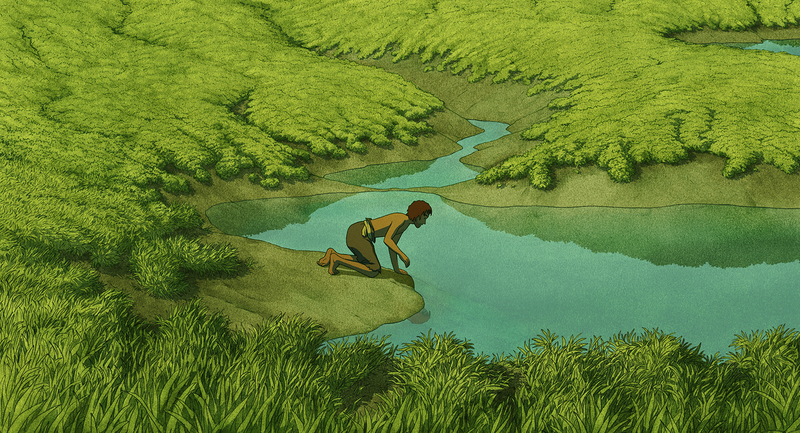 Having premiered at Cannes last year, The Red Turtle has gone on to secure a host of awards and nominations around the globe. Finally out in cinemas, I can vouch it very much earned its accolades. In the tradition of films like Wall-E, The Red Turtle is dialogue free. There’s no need to muddy its simple tale with exposition or speech. It remains entirely accessible to regional audiences (no fear of subtitles) and is perfectly appropriate for adults and children alike. I was very refreshed to see a film so unapologetically universal. Too often we see films make rather pandering or dismissive assumptions about their target audience. Here the only criteria for entry is the ability to appreciate a nice story. The animation and art is, naturally, beautiful. These are craftsmen at the top of their field. Often the characters and creatures are the only moving elements in the frame, with a static and expansive background that dwarfs them. It is as though the characters must traverse the detailed pages of a picture book. Artistically speaking, the style of drawing is immensely appealing. You can recognise the smooth and well-observed motions of waves and bodies that Ghibli is known for in the animation, but the art style itself seems to be channelling something more European. I kept thinking of the likes of Babar or Tintin with the construction of the faces, or even the work of Raymond Briggs. The Red Turtle is by its nature a minimalist affair and could we be worsened by a critic picking over its granular detail. At least before a first viewing. Suffice to say it is a wonderful animation, with a simple yet captivating story, and a moving score to top it all off. Do try and see it if you can. Verdict: A gentle and welcome change of pace from the spring blockbuster season.